Secretary Trump’s original pick for Labor Secretary, Andrew Puzder, formally dropped out of consideration in February, the day before his confirmation hearing, after attacks from opponents about his questionable record on wage and hour claims, his criticism of anti-immigration rhetoric in his party, and suspicions that he would have dismantled the protections afforded to workers through the Fair Labor Standards Act (FLSA). The President has put forth a new nominee, Alexander Acosta, who, while less controversial, still comes with his own critics questioning his record. Mr. Acosta’s resume is undeniably impressive. He is currently a dean at Florida International University’s law school, and if confirmed, he would represent the first Hispanic in Mr. Trump’s cabinet – a relatively high possibility given the fact that he has successfully been through the confirmation process on three separate occasions, all for different roles. Bolstering this background is his genuine popularity among labor groups, who had loudly protested Mr. Pudzer’s appointment. The president of the A.F.L-C.I.O. has described Mr. Acosta as someone who deserves serious consideration, and a public servant with experience in enforcing labor laws. Labor law attorneys will be aware of him, as he briefly served on the National Labor Relations Board (NLRB) in the early 2000’s. His record on the NLRB indicates that he is fairly nonpartisan, willing to side with unions, workers and companies, and crossing party lines. However, his resume does not show a fully nonpartisan past. Before his position as law school dean, he was appointed to lead the Civil Rights Division at the Justice Department under President George W. Bush. His tenure in this position has been tainted by reports of improper hiring which violated internal Justice Department policy as well as federal law. The report showed that under Mr. Acosta, the division accounted for political affiliations when determining promotions and job candidates, in direct violation of the law. While the report concluded that Acosta was not directly responsible for the practice, it concluded that he could have done more to oversee the selection process, and ignored the warning signs of unfair hiring and wage practices. Additionally, in 2004, Mr. Acosta sent a letter to a federal judge in Ohio which justified voter caging, which has been criticized as being a Republican tactic to infringe on voter rights. Overall, Mr. Acosta is a less controversial pick to the cabinet, although concerns about his politicization and attitude about discriminatory practices could prove to be opportunities for serious questioning by his opponents. In defense of these accusations, Mr. Acosta can cite to his advocacy for the civil rights of American Muslims before the Senate judiciary committee in 2011, when he criticized France as intolerant for banning headscarves, crosses and other religious clothing or jewelry – a fairly stark contrast to the President, perhaps to the relief of huge numbers of workplace lawyers practicing in this country. Mr. Acosta appears to be a more reliable pick, and will likely be confirmed in the senate with little controversy. However, all employers will still need to follow state and federal laws no matter who leads the Labor Department. If you you have questions about how you have been treated by your employer, speak to a competent overtime and wage lawyer at Cilenti & Cooper, PLLC. 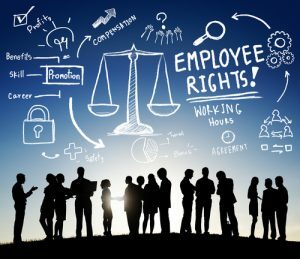 They are some of the most experienced labor law attorneys in New York City who advocate for workers’ rights and fair pay.